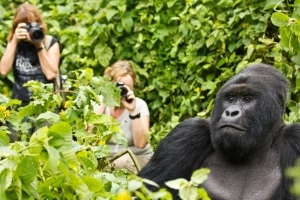 What is Gorilla Trekking in Rwanda? Gorilla trekking has no specific definition; however, it is a safari activity that involves hiking/climbing through a tropical forest to spend a single hour with mountain gorillas. 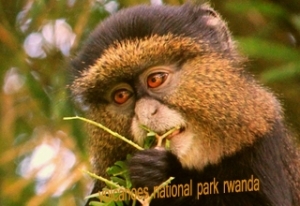 Hiking or climbing known as so because Volcanoes National Park raises to an altitude ranging from 2,500m to 4,500m above sea level. Gorilla trekking is done every single day as a total of 8 tourists visit a single gorilla family of the 10 gorilla families in the park. The activity starts at 8:00am local time with a 30 minutes briefing from the park rangers who tell you of the gorilla trekking do’s and don’ts. After then you head into the jungle along with an armed park ranger and other trekkers. The trekking time is unpredictable and can last about 2-6 hours. A single hour is counted as soon as you get close to the gorillas. Remember to use your Rwanda gorilla trekking safari hour properly by using your camera right and observing the amazing gorilla interaction. After having a glimpse at the gorillas at play and chunk food, you then return to the gorilla trek start point where you receive a gorilla trekking certificate then be transferred to your next destination by your Rwanda safari guide. 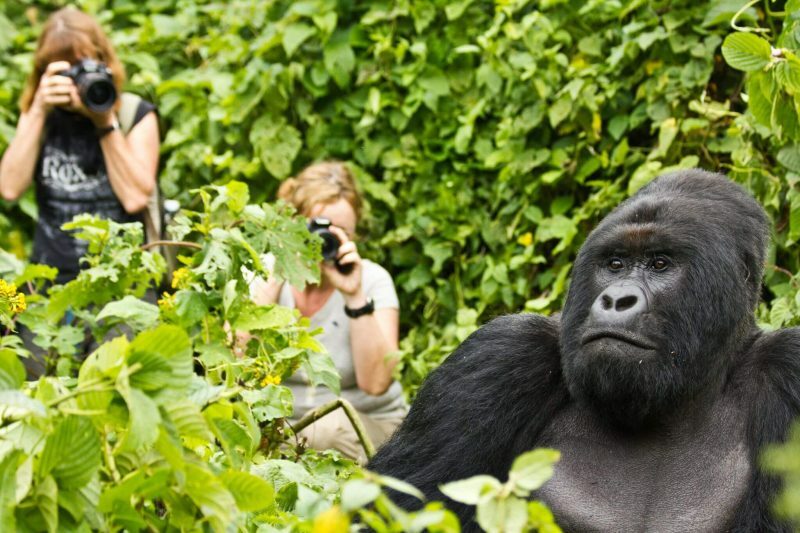 There’s nothing like the same gorilla trekking experience, every day can be a different story to different tourists. The same playful and amazing tourists today can be the moody one’s the next day, just go trekking expecting anything. One would wonder whether its only a single hour for Rwanda with any other option, the answer is yes! 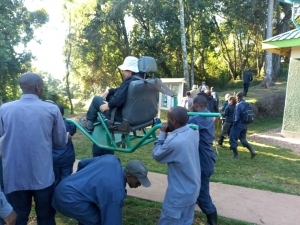 Unfortunately, unlike the chance gotten by Uganda gorilla safari tourists who can opt to go for a 4 hours gorilla habituation experience, all of Rwanda’s gorillas have been habituated and therefore you can only go for trekking/tracking. Surviving in their natural habitat, the surest and only way of seeing the Mountain Gorilla (the gorilla specie in Rwanda) in Rwanda is by undertaking a Gorilla trekking safari. In the country, Mountain Gorillas can only be found in Rwanda’s Volcanoes National Park in the north western parts of the country. Other mountain gorillas can be trekked in Uganda’s Bwindi Impenetrable National Park and Mgahinga Gorilla National Park. In Congo, mountain gorillas are found in Virunga National Park. A maximum of eight tourists can trek a single gorilla family per day spending a maximum of one (1) hour with the gorillas. Mountain gorillas are so susceptible to human diseases and actually even just a common cold could kill a gorilla. This means that each client who heads for a gorilla safari Rwanda should be considerate of the gorillas and avoid getting to the gorillas when they have a cold. Even without a cold keep a distance from the gorillas. Do not touch any gorilla. There’s need for physical fitness to go gorilla trekking since there is need to hike because the gorillas live in high altitudes of up to 1,500m-4000m above sea level, muddy and thick forested terrain. This height may cause difficulties for some trekkers. However, you can pace yourself and drink plenty of water. 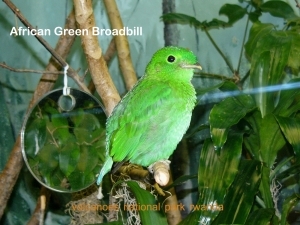 Walking sticks are provided for each tourist. Tourists with heart and back problems are advised to see their doctors for recommendation of the activity. 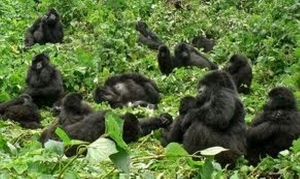 The real Rwanda Gorilla Trekking experience is one of a kind, offers great memories within a picturesque environment. If you are planning to go gorilla trekking to the country, just contact a tour operator in the country to tailor your trip.